Find affordable Hamilton preschool programs and child care facilities. 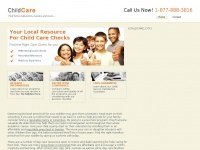 Click here for your FREE quote from local child care centers. The web server used by Childcarehamilton.net is located in Atlanta, USA and is run by Peer 1 Dedicated Hosting. On this web server 17 other websites are hosted. The language of those websites is mostly english. The websites of Childcarehamilton.net are served by a Apache web server using the operating system Red Hat (Linux). The software used to serve the webpages was created by using the programming language PHP. XHTML 1.0 Transitional is used as markup language on the webpages. Indexing the data of the website and following hyperlinks on it is explicitly allowed by robot information.